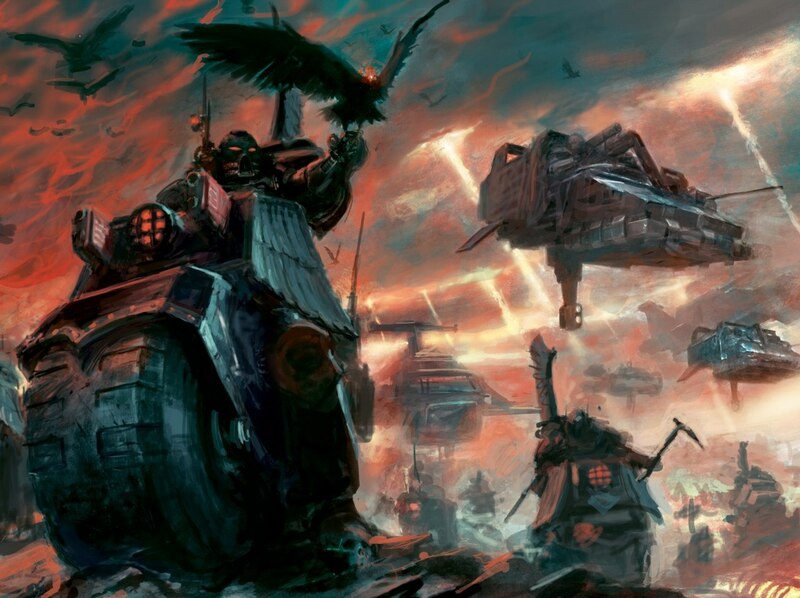 Speeders of all varieties scream Raven Guard. They are fast, hard hitting, lightly armored reconsinance vehicles. During the Horus Heresy we have two varieties to pick from: Legion Land Speeder Squadrons and Legion Javelin Attack Speeder Squadron. 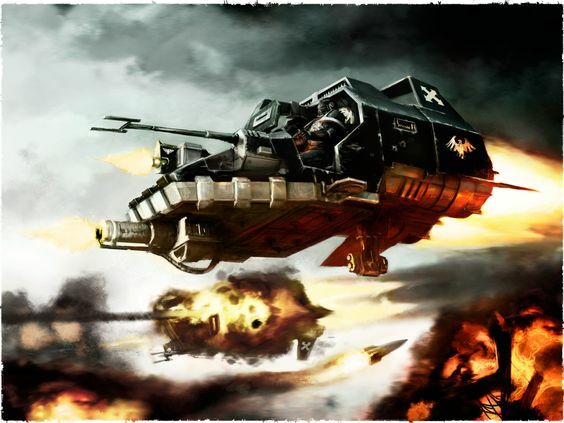 Land speeder received a 10 pt decrease in the new codex, which is a HUGE price drop when you are talking about a 40 point model. In addition, hunter killer missile recieved a point drop from 10 points to 5 points. It's an interesting development, since most of the tanks went up in points and Primaris Lightning Strike Fighters Kraken missile went up in points significantly. These changes open the door for land speeders to be one of the most economical tank hunters in the game. So let's review what you get. Deep Strike: This is your tank hunting deployment option. If you equip the speeders with infantry hunting weapons, you might stat them on the board, but in general I think you will trying to set up a combo of deepstriking off an infiltrating unit with a vox to avoid the risks of scattering. 2 Weapon Mounts: On one mount, you have the options of a heavy bolter, heavy flamer, multi-melta or a volkite culvern. On the other mount, you can add a havok launcher, heavy bolter, plasma cannon or grav cannon. Finally, you have an option to add 2 hunter killer missiles at 5 points each. AV10, fast, skimmer: So this is fairly important. At AV 10 bolters can and will glance you to death. Which usually means any time you take a weapon with under a 30" range you are basically dead. It also means you can jink for that ever useful 4+ cover save. Finally you can move and fire 2 weapons without snap shooting. So either equip your speeders to harrass from range or be suicidal and deadly at short range. Like their speeder cousins, Javelins also received a large 20 pt price drop. In addition, they picked up strafing run and an awesome rule that gives them -2 to hit in hth when not immobilized. These changes make this unit a lot more desireable, but are they worth it? Let's review what else they get. Deep Strike and Outflank: I'm not sure how much I would deep strike this unit. In general, you have some pretty long range shooting choices and outflank gives you a reserve option that is much lower risk and lets you hug the board edge. AV11: Such a big upgrade over AV 10. That said, you probably won't feel it that often as this unit has HUGE range of it's main guns. 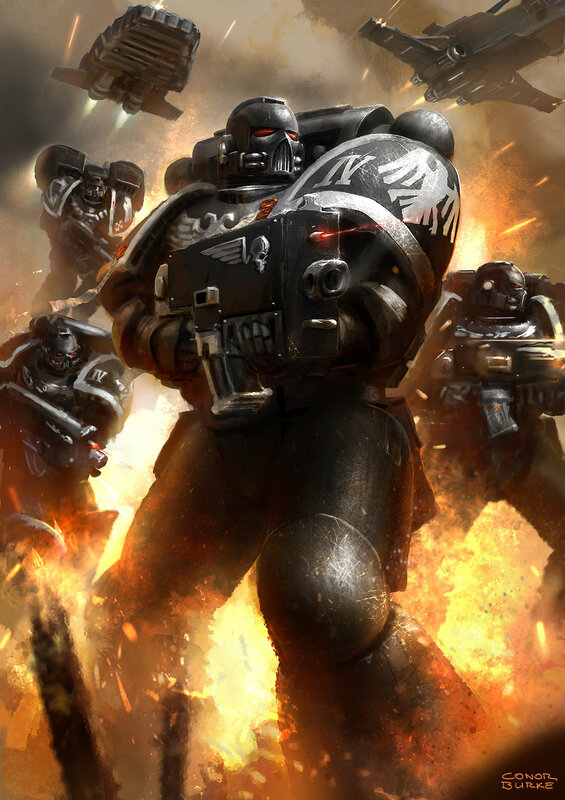 Weapons: This unit comes stock with a heavy bolter and a twin-linked cyclone missile launcher. You have the option to upgrade the cyclone to a twin linked lascannon or the hvy bolter to a multi-melta or a heavy flamer, but honestly, I don't see the point. I don't think 1 lascannon is worth 2 krak missiles. Especially, when it costs me an additional 5 points. And this unit doesn't really get a lot out of a heavy flamer or multi-melta. If anything, consider 2 5 pt hunter-killer missiles. This gives you a nasty little first turn 4 missile launcher alpha strike and a heavy bolter for a measly 65 points. The price drop makes both speeder variants competitive and viable units. Standard Land Speeders give you one of the point efficient tank hunting units in the game and the Javelins give you a unit that can flexibly threaten infantry and light to medium tanks at range. They have very different roles, but would be great if used together in a Solar An, Nuran Tusk or Souhounou hawk talon which consisted of light vehicles and fliers. Land Speeder: 65 pts - multi melta and grav cannon. 3 of these takes out most tanks. 5 of them take out almost all tanks. Since kraken missiles just got more expensive, dread drop pods just went up with price and breachers didn't get the price drop they should have, you basically have infiltrating grav cannons and deepstriking land speeders as your best grav gun options against spartans and the like. 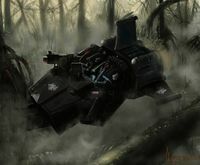 Javelin Speeder: 65 pts - cyclone, hvy bolter 2 hunter killer missiles. This unit is a great alpha strike unit that can use range to stay alive and harass your opponent. Consider for a second 15 of them comes in at under 1000 pts and you get 60 s8 ap3 shots, plus remember that you have strafing run. It's an interesting take on how to run a Decapitating strike list with Alvarex Maun to help get you an 87% chance to go first. Where are the rules that state the points drop and added strafing run for the Javalins? Are they in the red book? I have not seen anyone else talking about that change. And it seems huge.